It's Ain't Over Yet! Now that Sundance’s noise-heavy first few days are in the history books, it's time to settle in and focus on the festival's all-about-the-artistry second half. Do film attendee numbers go down after Tuesday? Never. But the energy shift is palpable to anyone who has experienced an entire Sundance. Maybe you’ve never heard the term “front loaded,” but Pollard has. It’s the event-industry lingo often used to describe the ebb and flow of the Sundance Film Festival. Meaning, most of the hubbub is packed into the first five days of the 10-day event. More than 60 buses traverse Park City’s small radius on any given day of the festival, but Pollard says the first weekend has always been the busiest. “The mood is definitely electric and vibrant those first few days, with a lot of people coming up from Salt Lake to stargaze,” he says. While there once may have been some truth to a front-loaded Sundance, the world-famous film festival is now better described as having two distinct personalities: one occupying the first half and a distinctly different persona emerging in the second. 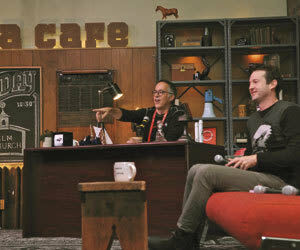 Following are a few highlights of the Sundance Film Festival’s second half. Each year there are new elements to storytelling that push established boundaries, and New Frontier showcases those elements in its interactive exhibitions. The installations are immersive and help audiences experience stories in new ways. New Frontier is located at the Claim Jumper (573 Main St) and is free and open to all festival credential holders for the duration of the festival. The very cerebral Art of Film Weekend (January 26–28) offers a robust schedule of activities bringing together an array of artists to celebrate the art and craft of filmmaking. Highlights of this year's Art of Film Weekend include: celebrating the art and craft of creative storytelling with the panel discussion, Power of Story: Art of Episodic Writing with Gina Prince-Bythewood and Reggie Rock Bythewood (Shots Fired), Larry Karaszewski (The People v. O.J. Simpson), Marti Noxon (To the Bone), Issa Rae (Insecure), Jill Soloway (Transparent), and moderator Michelle Satter (Founding Director, Sundance Institute Feature Film Program). Also in the Art of Film Weekend, the live-streamed Creative Tensions: Empathy will explore the forces that shape how and why we say we care for others. The special panels, workshops, and discussions are available for credentialed festivalgoers on a first-come, first-served basis. The final Sunday morning of the festival (January 29) offers a near-spiritual experience for film nerds who can sacrifice sleeping in for an intimate conversation with Sundance Film Festival Director John Cooper and Festival Director of Programming Trevor Groth. The casual dishing that happens at the Filmmakers Lodge (500 Main St) never disappoints, with behind-the-scenes stories, photos, and plenty of belly laughs. Be sure to study up before attending: those in the know about festival trivia get a chance to win coveted festival swag. Open to all credential holders and the general public on a space-available basis. This worship session begins at 10:30 a.m. Arrive early for limited seating. After the festival ends, Utah residents get FREE access to screenings of the previous 10 days’ award-winning films on Monday, January 30 at the Eccles Theatre in Park City, Sundance Resort, and the Rose Wagner Center in Salt Lake City. Present a valid Utah driver’s license to pick up tickets on a first-come, first-served basis at the festival’s main box offices in Park City (136 Heber Ave) and Salt Lake City (Trolley Square, 700 E. 500 South) on Saturday, January 14 from 8 a.m. to noon. There is a limit of two tickets per person per screening for Park City and Sundance Resort screenings, and a limit of two total tickets per person for SLC screenings. The Sundance Institute presents FREE screenings for Summit County residents (with proof of ID) on Tuesday, January 24, 2017. Films screen at both the Library Center Theatre and the Redstone Cinemas. Tickets for these Townie Tuesday screenings will be distributed simultaneously with Best of Fest tickets at the Park City Main Box Office beginning Saturday, January 14, 2017 at 8 a.m. The first five days of Sundance is all glitz and glam. Main Street teems with celebrity stalkers and ticket holders in equal measure, and industry-fueled parties rock venues all over Park City proper from late afternoon through the wee hours of the morning. The calmer second half comes across as more introspective, inspirational, and, frankly, more intelligent. The hangers-on go back to New York and LA, and the focus settles squarely on film. Do film attendee numbers go down after Tuesday? Never. But the energy shift is palpable to anyone who has experienced an entire Sundance. Park City’s restaurants know all about the differences between the first and second half of the festival and how crowds seem to shift. “I would recommend coming to the second half of the festival for people who aren’t Nicole Kidman,” jokes Mary Potts, the director of operations for Bill White Enterprises, a local restaurant group with three Main Street venues. Potts says their restaurants start getting reservation requests in June for the first weekend of the festival. “We will host more than 50 private events, most of which are requested for the first five days,” she adds. 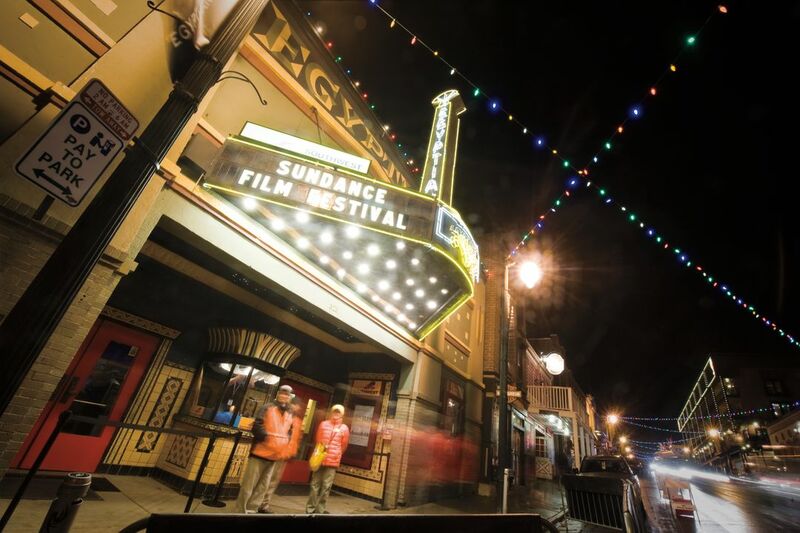 Though the beginning of Sundance can feel like a celebrity freight train roaring through town, complete with a mob of onlookers flooding Historic Main Street, there is so much more to this event than catching a glimpse of a star or getting turned away from a private party. More than 200 films are screened throughout the festival’s 10-day run, including daily premieres. According to Sarah Pearce, managing director of the Sundance Institute, the impression that festival activities wane after Monday is simply not true. “In fact, over the years, the closing-night films have often been some of the most impactful,” Pearce says. There is so much more to this event than catching a glimpse of a star or getting turned away from a private party. Noted. We’ll just call that a well-earned Sundance dessert.